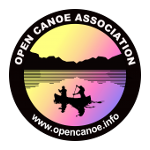 Over the Bank Holiday weekend, Dave Kohn-Hollins of will be offering two workshops we’d like to develop into regularly-offered Open Canoe Association modules – and if you sign up to these you get a chance to shape what develops! A subject where fact and opinion are often confused with each other, Safety and Rescue is a vital area of the sport. Dave helps you differentiate between solid fact and overblown guff, shooting sacred cows with abandon along the way. Dave-Hollins asks the question and challenges your perception of river leadership, giving you food for thought and new tools on the way.